Grave of Arye Leib, disciple of 'Maggid' of Mezeritch, desecrated by firebombs. 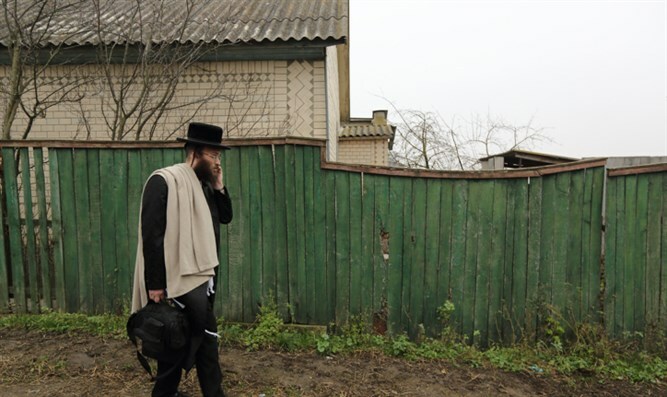 Unknown perpetrators hurled firebombs at the gravesite of a hassidic luminary in central Ukraine. On Monday, Dolinsky wrote on Facebook that the perpetrators tried to set on fire a structure built near the gravesite of Aryeh Leib, who died in 1811 and was an important disciple of Dov Ber of Mezeritch, an influential 18th-century hassidic rabbi. The coat of arms of Ternopil features a fortress above the star shape that has six points and comprises 12 triangles – half of them khaki colored and the rest blank. Under the star is a horizontal crescent divided into a khaki half and a blank one. The shield bearing those symbols is crowned by the Ukrainian trident -- the Sign of Princely State of Volodymyr the Great, which is the main national symbol and the country’s coat of arms. The petitioners want the city to “replace the Jewish Star of David with the traditional Ukrainian octagon" and "complement the star and crescent with a Christian cross, which must go back to the top of the trident," the news website Ukraina Moloda reported Friday.